08.28.2012 NIH requests your opinons by Sep. 5. Please help. 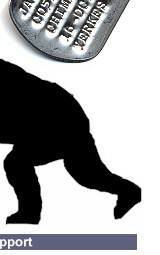 5.28.2010 South African PFP supporter requests Monkey Town exposure. If you're planning to visit SA, be sure to carefully consider where you'll spend your time and money. 2.16.10 UCLA's Anti-Science Profs debate Dr. Ray Greek, Dr. Niall Shanks and Robert C. Jones, Ph.D.
12.07.09 UMDNJ list of body parts from Yerkes, LEMSIP et al. 11.18.09 Yerkes' negligence kills sooty mangabey. Please let USDA know your thoughts. 08.06.09 Eight unidentified from Yerkes are not forgotten. Tenacity pays off in attempts to obtain Wisconsin records. UCLA openly plots to ignore FOIA and requests from the public. UCLA's Dario Ringach busted for publicly lying about research? Wisconsin's Harlow Lab animal abuser, Chris Coe, refuses delivery of 12 year-old girl's petition for mercy. 06/11/08- PFP files response to UCLA's lame claims. 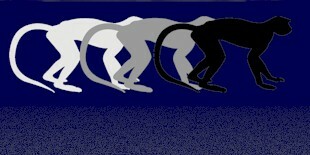 05/02/08 Primate Freedom Project files final response in UCLA suit. 04/28/08 Tagwearer's YouTube tribute to Maisy Vervet #1994093 at UC Davis by Susan Elias ***Link to this video has been disabled due to California Board of Regents threats and demands. For more information, please see link directly above to explain this action. UCLA Animal Terrorists sue UCLA Primate Freedom Project to Shield Researcher's Cruelty. Report from Assn. of Primate Veterinarians. Read about the primates in their labs...perhaps a lab close to you! Feminist Gloria Steinem Asks that Covance be dropped as a Conference Sponsor----and gets it done!!! BIG WIN! Univ. 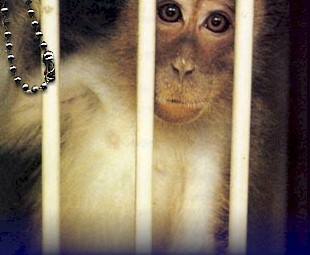 of Utah's Donahoe Stops Primate Experiments! BIG WIN FOR PRIMATES!!! WISCONSIN JUDGE RULES FOR PFP NATIONAL EXHIBITION HALL! A Letter from Dr. Goodall and other scientists. 19 Scientists Oppose Yerkes' Proposal to Amend its Endangered Species permit and Kill Mangabeys for 'Conservation' Money. Primate advocates educate Minneapolis citizens about useless experiments that don't help sick people. View photos and video of experiments inside Minneapolis laboratory. Yerkes requests permit change to kill mangabeys that are 'too costly' to maintain while financially supporting new venture. Please help. DEBATE! Eric Sandgren, Chair of UW's ACUC, has agreed to debate one of UW's most vocal critics, Rick Bogle, on Thursday, March 23 at 7:00 p.m. at 2103 Chamberlain Hall, Univ. of Wisconsin, Madison. Don't miss it. 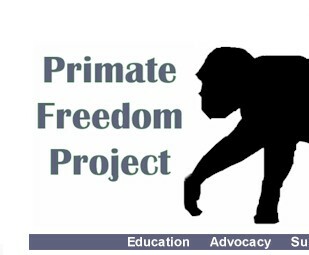 Primate Freedom Project seeks injunction to block sale of Exhibition Hall property. Dover Chimpanzee dies due to Emory/Yerkes' Negligence. USDA fines Emory/Yerkes. Primate Freedom Project asks court to decide Exhibition Hall property claim dispute. Proposed ecstasy experiments, both expensive and wrong. Write your congresspersons today. Vivisection A to Z... Interested in what's going on behind closed laboratory doors at the Wisconsin National Primate Research Center? Vivisection A to Z reviews experiments of each vivisector at WNPRC and what the primate experiences. Group meets the second Tuesday of each month, 7:00pm at Memorial Union. Room assignments vary so please check www.union.wisc.edu/TITU/mutitu.htm Free and open to the public. PFP's Rick Bogle files suit against UW's PIO for false statements. CONFIDENTIAL, INTERNAL UW docs re: Teresawa. UW has nothing good to say about her sloppy experiments. June 4, 2005, Madison, WI. Like a Holocaust Memorial at the Gates of Auschwitz, the National Primate Research Exhibition Hall makes the clear statement that what is occurring in these labs across the country and the world is wrong and must be stopped. 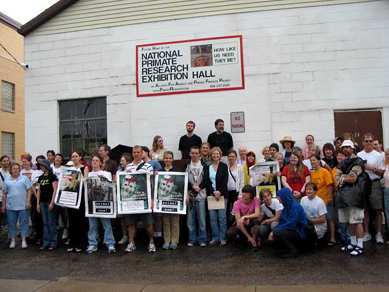 Sandwiched tightly between the historic and infamous Harry F. Harlow Primate Psychology building and the National Institutes of Health’s flagship vivisection lab, the Wisconsin National Primate Research Center, the Exhibition Hall’s permanent presence and clear voice will be impossible to ignore.